← All the News That’s Fit To Pay For? 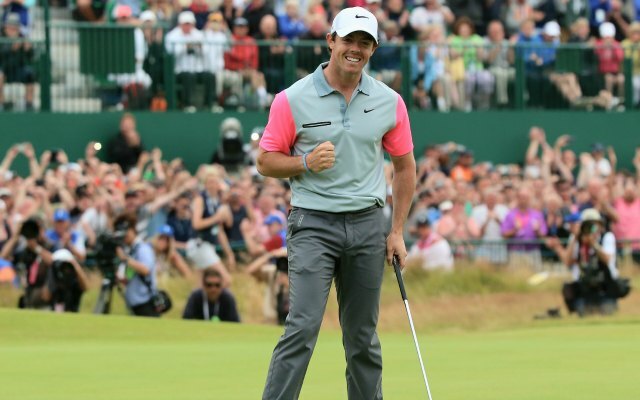 The Winner of The (British) Open Championship – Rory McIlroy! This was my first full golf tournament. 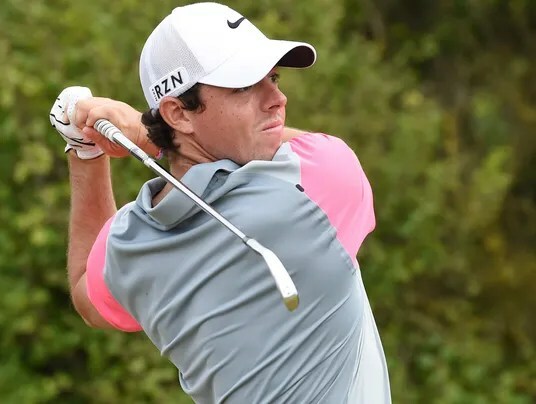 I am a Rory McIlroy fan, and Rory has just won the British Open, not 5 minutes ago. He has inspired me to follow golf more now. I’ve always wondered what everyone saw in this sport, but for some unknown reason, this past week I have tuned in every day and watched the players play. He’s tearing up right now in the interview. He’s only 25 years old and has been playing golf since he was a wee baby in Northern Ireland. He hugged his Mum at the finish and said it was the first time she’s been there at the finish of a major tournament he’s won. Congratulations Rory! A splendid Open Championship! I wish now that I’d discovered golf years ago. I remember one time my ex-husband, Bill, had taken up golf after we split up, and he told me that the sport was a special one, simply because when you are playing, “you find yourself in the most beautiful spots in the world.” And when I thought about that, he was right. Golf courses are beautiful, for the most part. I suppose if it’s pouring down rain, it might not seem so bucolic, but on a nice day, who could find a more peaceful place than on a golf course? So Rory is the Champion of the 2014 British Open. LOL! I had the same thing happen to me with confusing the two of them, Bex. I was watching just a little golf on tv today and it was in Ireland but now I can’t remember where… it was beautiful too. Reenie Beanie & Beanie are two different people. We’ve unintentionally confused the cyber-world. I played golf for many years but was never more than a hack. Seriously. Interestingly, the best round I ever had was in Ireland – at Waterville? On the Dingle Peninsula. The views were amazing – surprised I did so well with the distractions. I was told it was the *warm-up* course for Tiger Woods before the British Open. I’ve played frisbee golf before. So much fun! And much easier than one would think. OK, frisbee golf… I get it now. I don’t think I could do it at all – whenever I have an empty Milk Bone carton (dog cookies), I try to fling it across the room to where we keep cardboard for recycling, and I can never get that darn thing even near the container! My hands and wrists are not working well these days. The reason I fling it over there is to avoid the step down (and up again) that exists in that room which is what I tripped over a few years back and injured my left knee badly. I can see you playing disc golf in your wooded areas Reens! Disc golf, Reens-Beans? I’ll have to google that. Never heard of it. The same holds true for disc golf, and it’s an inexpensive way to spend time in green places! And you know what they say, a bad day of golf is still better than a good day at work! Heh! After we discovered it, my husband and I played golf every weekend until he couldn’t play any more. I loved it. We walked every course – no golf carts for us. So happy you are enjoying the game of golf..you are so right. wonderful views they always have to play on.